For example, if the pipe is stainless magnet, it "food." Or that "food" shall not include: Ti (titanium) or Co (cobalt) or Mo (molybdenum) or Mn (manganese) and other chemical elementy.A as it is believed that all depends on the surface finish that the organic particles are not stuck on the surface, it must be polished. Stainless metals are high-alloy corrosion-resistant. Their property "not rust," is achieved by adding Cr (chromium). Thus, on the surface of the pipe, which communicates with the dirty environment, a film is formed from the insoluble oxides, which prevent corrosion. The chromium content can be from 12 to 27%. The more alloying elements, especially a corrosion resistant metal. 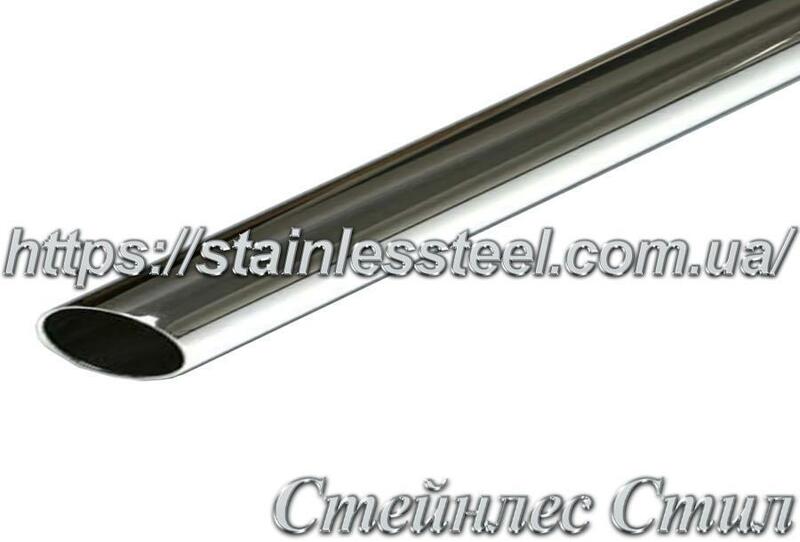 The stainless steel also added chemical elements Ni, Mn, Ti, Nb, Co, Mo for improving the physical and mechanical properties and corrosion ustoychivosti.Esli chromium content in the stainless tube 13-17%, such an alloy is considered resistant to corrosion in the low aggressive environments. If the metal is alloyed with nickel and molybdenum and chromium content of 18% or higher, stable in corrosive environments, especially in chloride solutions (saline solutions). It follows that the concept of "food" stainless tube varies depending on operating conditions. In the production of foodstuffs for the production of product pipelines and other equipment exposed to corrosive media systematically. For example, for washing equipment used solutions of sulfamic acid, as well as caustic soda solution at a temperature of 75-90 C. Therefore, in such circumstances it is necessary to use more resistant to aggressive media stainless pipe grade AISI 316. In a domestic environment, where there is constant interaction with the metal chloride-containing solutions, it is fine most common variant AISI 304. In some cases, you can use cheaper analogues AISI 201, AISI 430. Could there be a stainless pipe is harmful to health? For each batch of stainless steel pipe, which are sold in Ukraine, there is a certificate of conformity. But such a certificate not answer the question whether it can be used in the food industry. Until recently, it was possible to get the sanitary-epidemiological conclusion after passing examination and obtaining an expert opinion from an accredited institution. Our organization has a need to provide our customer of such a certificate in which it was written that according to sanitary-epidemiological conclusions on the Rental of corrosion steel AISI 301, 304, 309, 310, 316, 321, 409, 410, 430, 439 corresponds to the sanitary pravilam.No in fact all types of stainless steel tube conform to these rules, although not all of them have such a conclusion. The fact that the chemical composition of different types of stainless steel by percentage of different elements in chemical composition but they are almost the same. What is the difference? The difference in corrosion resistance and physical and mechanical properties of stainless steel tubes. How do I know how much corrosion-resistant stainless steel pipe. In order to understand the score for this brand stainless steel in terms of corrosion resistance, you can use any steel Marochnik. If you do not know what brand of stainless steel is recommended that you conduct an experiment: put the metal on the two or three days in the work environment or in a two-percent vinegar. If the steel is not darkened, so it can be used. You can also conduct a rapid analysis of stainless steel in the domestic environment. To do so, clean the surface sandpaper verifiable metal and cause a concentrated solution of copper sulphate (a few drops). If after a few minutes of land covered with red film, this metal is not stainless steel. If no changes have occurred, then it is stainless steel. The most accurate chemical composition, and therefore the stainless steel can be found using spektometra. Such equipment may be in the institutions in the departments of metallurgy. However, the quickest and most inexpensive option is to find a portable spektometr in paragraphs metal reception or from rolled metal sellers. 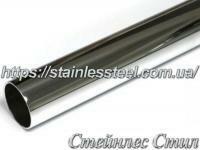 You can order a tube made of stainless food steel Contact Sales.